Poisoned Pen Press, 9781464201226, 261pp. Triss Stein is a small -town girl who has spent most of her adult life living and working in New York city. This gives her the useful double vision of a stranger and a resident for writing mysteries about her ever-fascinating adopted home. 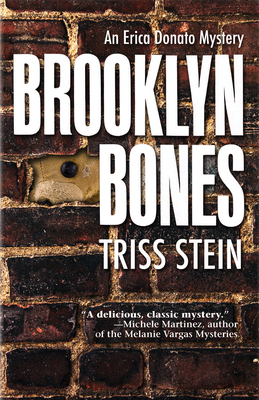 Brooklyn Bones is the first in a new series about everyday Brooklyn life, Brooklyn history and Brooklyn crime. She is the author of two earlier mysteries, "Murder at the Class Reunion" and "Digging Up Death," is a member of Mystery Writers of America and Sisters in Crime, and managed the recent Sisters in Crime research study on mystery readers.